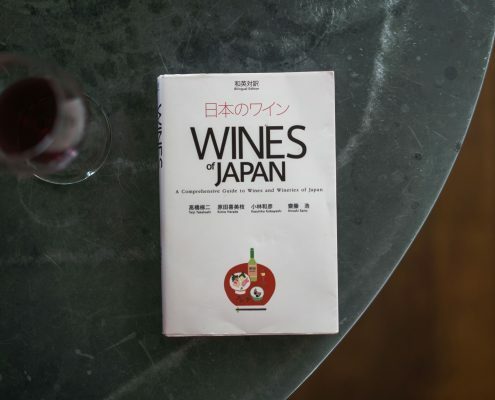 Your essential briefing to Japan’s most-planted wine grapes. Koshu has been cultivated for more than a thousand years as a table grape – and is now the most planted wine grape in Japan, responsible for nearly 20% of all Japanese wine production. Its homeland is the Yamanashi prefecture, where the vineyards (many still trellised on high, pretty pergolas) are overlooked by Mt Fuji. With thick pink skins, Koshu has natural resistance to moisture-related diseases; an important quality in Japan’s sub-tropical climate. The most familiar style of Koshu is an ultra-delicate, dry and light white wine which first proved the export potential of Japanese wine. In 2009, Koshu of Japan, advised by Lynne Sherriff MW, brought together nine producers from Yamanashi to show their wines to the UK. 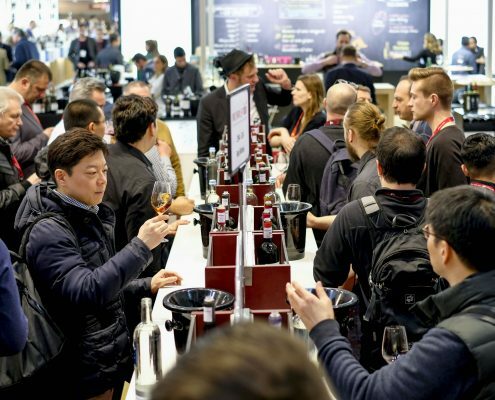 The targeted campaign introduced a clear message about the merits of a uniquely Japanese wine, from a uniquely Japanese grape, to buyers and journalists. But Koshu has proved to be incredibly versatile in production. The grape responds well to battonage, lees aging, whole bunch pressing and fermentation with finer solids. 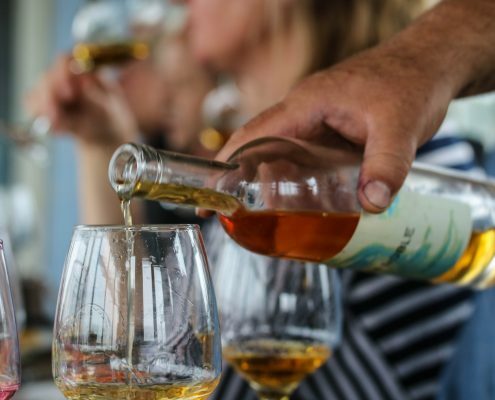 It is used to make sparkling and sweet wines, as well as sumptuous orange wines which have proved the perfect foil to umami-rich dashi, a staple of Japanese-influenced cuisine. For the uninitiated, Koshu draws comparison with Muscadet’s bready freshness and Albarino’s lime-spiked peachy aromatics. It also shares aromatic compounds with Sauvignon Blanc. 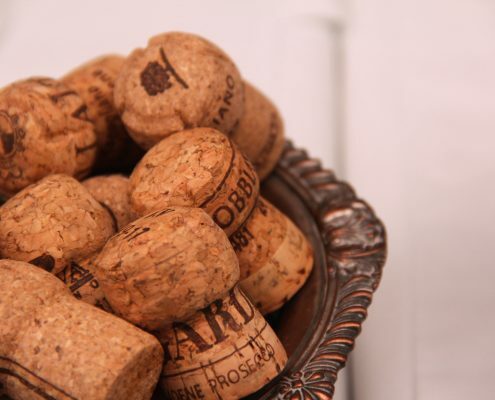 Patrick Schmitt MW also identifies a unique salty note – “as though someone has added a drop of soy to your glass”. The following producers (with importers in brackets) make delicious, varied Koshu wines that are now available in the UK. Despite not having the catchiest of names, Muscat Bailey A is the most widely planted red grape in Japan; a hybrid of vinifera Muscat Hamburg and Labrusca Bailey which was specifically bred for the country. Bred to have strong disease resistance and crop reliably, Muscat Bailey A buds late – avoiding spring frosts – and ripens early and easily; vital in advance of Japan’s southern summer typhoons, and northern autumn snows. For decades, it was relegated to the ‘easy drinking’ zone, and used principally to make high volume, fruity, off-dry quaffing wine. 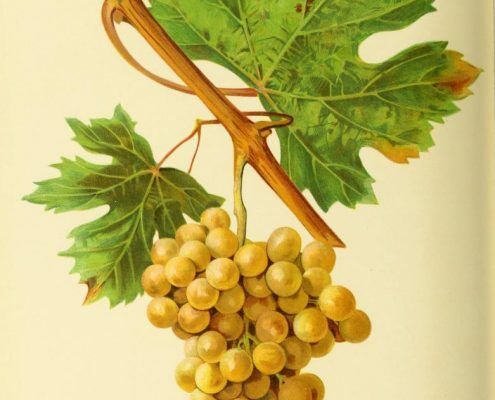 However, in common with previously dismissed grapes such as Spatburgunder and Gamay, Muscat Bailey A has undergone a renaissance. Quality-focused producers have demonstrated that low yielding vines from prime sites can transform the grape’s seemingly trademark candy-floss fruitiness into aromatic, supple and fresh reds which recall cru Beaujolais. The light, fruity style of Muscat Bailey A pairs well with Asian-style cold salads, seared fish, and even ceviche. 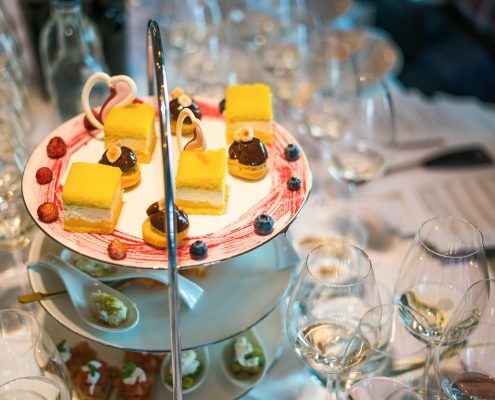 Richer, sleek and oak-aged examples are delicious with sweet and savoury dishes, such as pork belly in barbecue sauce we tried at a sell-out trade and press tasting at The Ivy Asia in Manchester in January 2019. Muscat Bailey A is still rare in the UK. VSF Wine School and Shop offers a lovely example from Kurambon, a sustainably-run winery in Katsunuma. A hybrid of Muscat Hamburg and Labrusca Bailey, Muscat Bailey A was bred by aristocrat Kawakami Zenbei in 1927. Zenbei dedicated his life and his fortune to creating the variety. 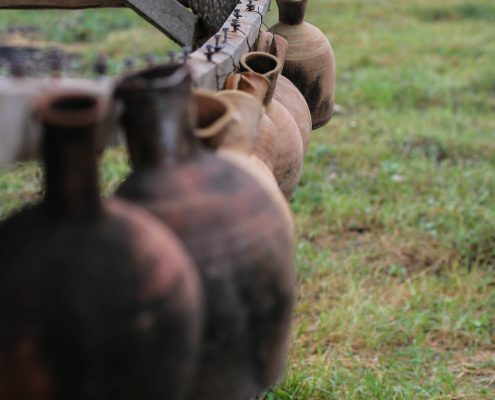 For more information on #JapaneseWine, see our information site.